Traveling with your dog? 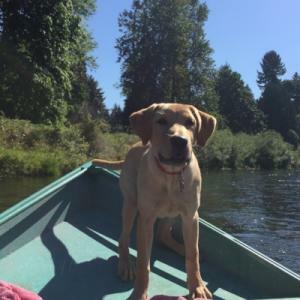 Find dog friendly beaches, parks and places to explore together across the Eugene, Cascades & Coast region. 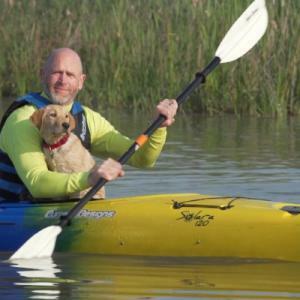 Enjoy the region&apos;s many dog friendly parks and public lands. 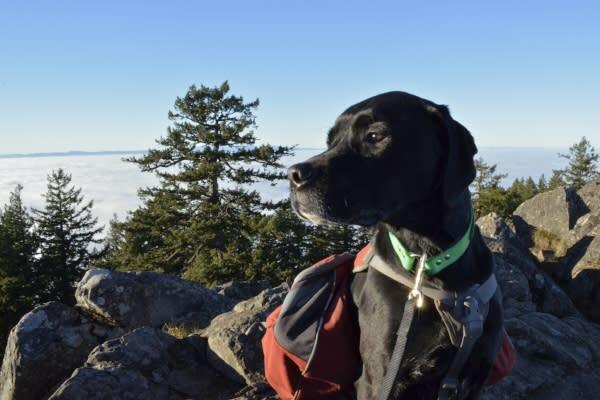 Dogs can be ideal travel companions, especially on the hiking trail or in the water. 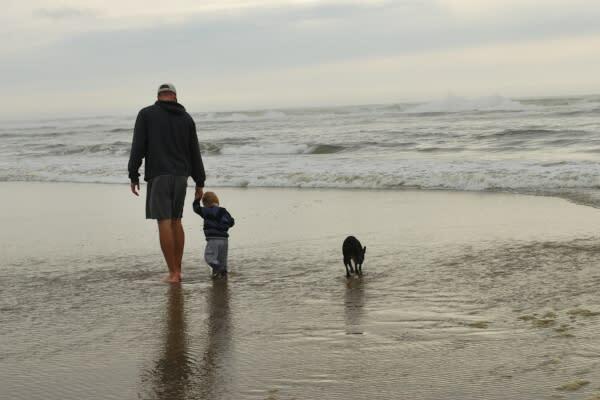 Oregon&apos;s public beaches are a great place for dogs. Who else is going to express such glee at discovering a skittering crab or a receding wave? Well, others may, but not by running and leaping and barking and generally indicating that life is truly remarkable. Just make sure that your dog is under voice control at all times. 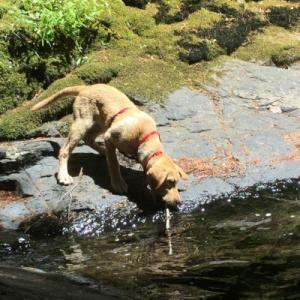 In Oregon State Parks, dogs must be on a leash no longer than six feet. And from March to September, dogs are restricted from plover nesting areas. Dogs need a little off leash time with a chance to make new friends. Sniff out these popular dog parks - there are even some areas dedicated to small dogs only. A lovely expanse of well-maintained park land featuring shaded picnic areas, kids' playground, skateboard park, amphitheater, paved bike paths and chip trails. The community center offers kids' camps, community classes for children and adults, and rental facilities. The grounds include a dog park, Amazon's seasonal outdoor swimming pool and the Hilyard adaptive recreation center. A breathtakingly beautiful day-use park and RV campground on the banks of the McKenzie River only 5 miles (8.05 km) north of Eugene. 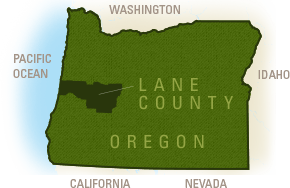 Located on the outskirts of Coburg and adjacent Interstate 5. Reservations available. The 57-acre (23 ha) park features the Crilly Nature Trail, a two acre (.81 ha) off-leash dog park with water and shade, a tree-lined river path, volleyball, horseshoe pit, boat ramp, reserved picnic areas and shelters. Great for group events. Comprised of 402 acres (163 ha), Eugene's largest riverfront park hosts year-round festivals, running and walking races, and community events. Visitors can enjoy 230 acres (93 ha) of natural area, a fenced off-leash dog park, Cuthbert Amphitheatre, Pre's Trail, the Nobel Peace Park, and the Eugene Science Center. There is also an 18-hole disc golf course (12 holes during special events). Easy access to the Ruth Bascom Riverbank Path System with a 12-mile (19-km) path. Free maps available at www.eugene-or.gov/parks. Fish for trout, salmon, steelhead and bass. Wheelchair accessible. You’ll find an 8,000-square-foot playground, two large-group picnic shelters, sand volleyball, a nature trail and an almost 4-acre dog park at Lively Park. The dog park features separate play areas for large dogs and small dogs. All this is in addition to Splash!, Willamalane’s indoor water park. 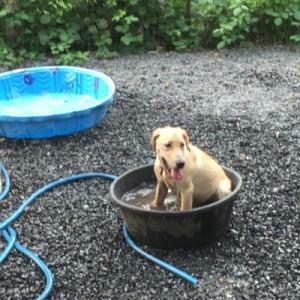 Plan a group outing to Splash!, picnic at the shelters and play all day! For rental opportunities, call 541.736.4244. 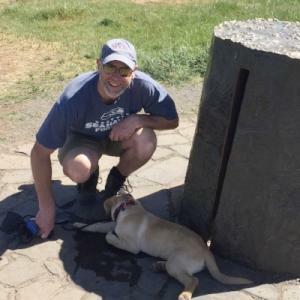 Dogs enjoy free rein at four off-leash dog parks located at Alton Baker, Amazon, Wayne Morse Family Farm and Candlelight parks. Free maps available at www.eugene-or.gov/parks. A six acre park featuring a fenced dog park, children's playground and hiking trails. Access the dog park from Singing Pines Dog Park parking lot and the playground from Airport Rd. This city park is on the National Register of Historical Places as the former home and farm of Senator Wayne Morse. He is most known for his integrity throughout his public service. The 26-acre grounds include the Senator's home, grassy lawns and picnic facilities, a wooded park with trails, and a spacious off-leash dog park that is fenced. Tours of the home can be made by appointment, or attend the annual spring open house. Rental event space is available through the City of Eugene. Pet policies vary widely by hotel. Search by the amenities field for pet-friendly accommodations and talk directly with the properties.